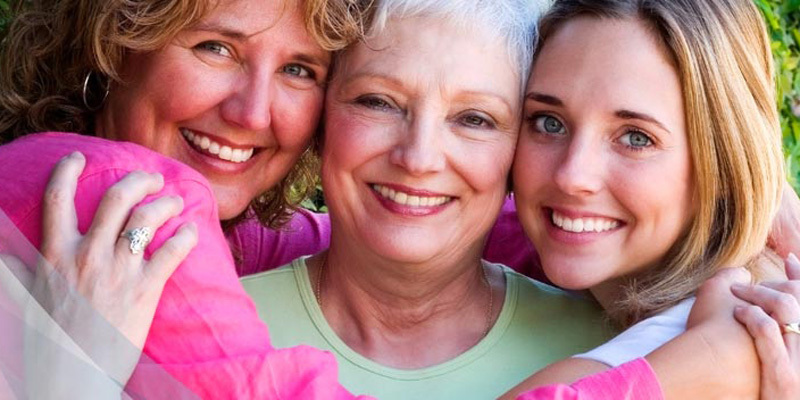 Women's Health Alliance: Healthcare for every phase of your life. St. Vincent Carmel provides comprehensive services and features a new Women's Center. We are guided by our Caring Spirit and core values demanding excellence of ourselves and for all those who turn to us for their healthcare needs. Originally established to service the residents in Hamilton County, St. Vincent Carmel now has many types of health services from maternity and newborn care to pediatric, bariatric medicine, women’s health and services for the entire family. Our medical specialists are highly regarded for their expertise and attract patients from all parts of Indiana and the Midwest. Dr. Erica Giblin, Breast Surgeon, demonstrates MarginProbe and how St. Vincent Carmel Women’s Breast Center is using two new technologies to aid in breast tumor removal. A radioactive seed is placed to help the breast surgeon more accurately locate the tumor during surgery. The FDA-approved device enable the surgeon to analyze the surgically-removed tumor to discover in real-time if the outer cells of the tumor have cancerous or non-cancerous cells, which greatly reduces the need for a second surgery. 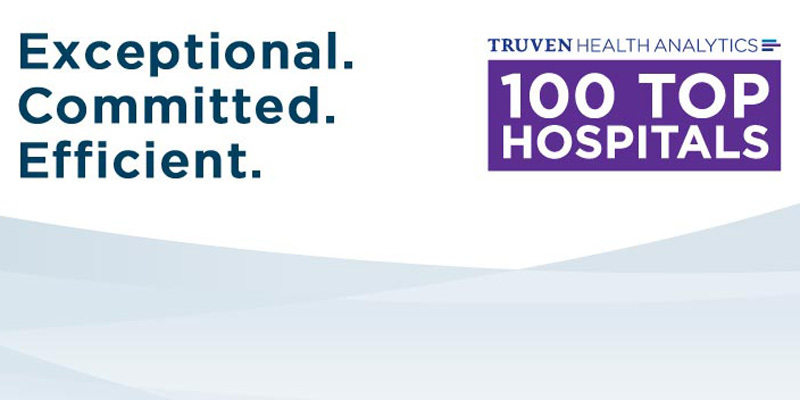 Truven Health Analytics has recognized St. Vincent Carmel Hospital as one of the nation's 100 Top Hospitals. This award demonstrates our consistent dedication to delivering higher quality, higher satisfaction and lower costs to our patients. St. Vincent Carmel has earned four awards from Professional Research Consultants (PRC). PRC is a research marketing firm dedicated to the improvement of healthcare nationwide. PRC is guided by five core values: Quality, Service, Collaboration, Innovation and Growth. Focused, coordinated care exclusively for women. Health boutique providing maternity supplies, nutritional supplements and wigs and bras for breast cancer patients. 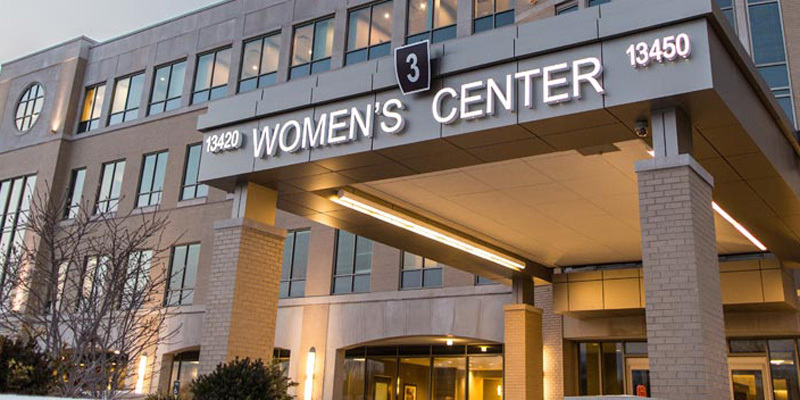 The St. Vincent Carmel Women's Center provides personalized patient care for all stages of life, and offers prompt referrals between your physician and other providers within the center. This access to specialists ensures focused, preventive care for women in one convenient location. The St. Vincent Carmel Women's Center also has care navigators to assist with questions, appointments, personal guidance, education and much more! St. Vincent Women's Center Offering Saturday Appointments. Sharing a Lifelong Commitment to Your Health. At St. Vincent Carmel Women’s Health Alliance, we know that women are looking for a relationship with their OB/GYN, not simply an annual check-up. We create a partnership with you to help make decisions regarding your healthcare at every phase of your life. Women’s Health Alliance now offering Saturday appointments. Call 317-582-9500 for an appointment. St. Vincent Carmel Breast Center now offering Saturday appointments. St. Vincent outpatient services provide safe, convenient, and comprehensive care for patients without the need for hospitalization. Care is provided by specialized physicians and nurses, with the dedication and attention to detail you expect from St. Vincent. In conjunction with St. Vincent Indianapolis, St. Vincent Carmel offers one of the largest sleep disorders centers in the state, providing evaluation and treatment of all sleep disorders. Our Sleep Disorders Center has been in operation since 1983 and is accredited by the American Academy of Sleep Medicine. We have programs available for adults and children. St. Vincent Carmel also offers Medication Management Services, including anti-coagulation services, vaccinations, and tobacco management services. St. Vincent Sleep Disorders Centers are accredited by the American Academy of Sleep Medicine. We specialize in providing comprehensive evaluation and treatment for people suffering from sleep disorders. Our team of physicians is board certified in sleep medicine and has extensive clinical and research experience in sleep disorders. Our Board-Certified Sleep Specialists are available to evaluate and treat all types of sleep disorders. An office visit can be scheduled to determine if a sleep study is needed or to discuss treatment options after the study is completed. Our physicians also provide CPAP follow-ups and ongoing support. To schedule an appointment with one of our board-certified sleep specialists, call 317-338-2152 or 800-972-7869. Different options exist for treating sleep disorders. Our team of sleep specialists will provide you with a comprehensive diagnosis and follow up to determine the best treatment for you. We provide testing for all sleep disorders with state-of-the-art equipment and experienced, credentialed clinical staff. We provide a hotel-like environment with convenient locations to better serve our patients. A sleep study requires an overnight stay in our hotel-like environment. You will have a private bathroom, television, and Select Comfort Sleep Number bed. Several sensors will be placed on your head and face to monitor your sleeping patterns throughout the night. A board-certified sleep physician will then interpret the data and provide treatment recommendations and follow-up care if indicated. A sleep study does require an order from a physician. For more information, or to schedule, please call: 317-338-2152 or 1-800-972-7869. Orders can also be faxed directly to our office at 317-338-4917. Our staff will contact the patient to verify insurance and schedule an appointment. Medical supplies are on-site to provide education and equipment for all your CPAP needs. Respiratory Therapists are always available to assist with mask problems or other machine issues. Appointments are appreciated, but walk-ins are welcome. Left untreated, sleep problems can contribute to significant health problems such as high blood pressure, irregular heart rhythms or heart disease, stroke, heart attack, diabetes, clinical depression, and other serious conditions. If you depend on blood thinning medication to prevent blood clots, regular monitoring is vital in preventing strokes and heart attacks. The Medication Management Clinic is here to provide you with everything you need to successfully manage your medication levels. Your first appointment will take about 45 minutes - and most subsequent appointments are scheduled for 15 minutes. We use a simple finger-stick blood sample to determine how well your medication is preventing blood clots. A healthcare provider will discuss any necessary medication adjustments, and provide you with easy-to-understand instructions on how to use your medication safely and effectively. The Medication Management Clinic is led by pharmacists and registered nurses who provide expert clinical and educational services in a timely and effective manner. For patients who cannot take oral medication, we provide the proper education so patients can self-inject their medicine at home. We also provide an in-home medication management option for qualified patients taking Coumadin, Warfarin, Jantoven and other anticoagulant medication. This allows patients the convenience and freedom to self-test at home. Meanwhile, the Medication Mangement Clinic manages their dosing in real-time while monitoring and providing education related to their medication needs. Medication Management Services at St. Vincent Carmel includes an Anticoagulation Clinic for children. As a partner of Peyton Manning Children's Hospital at St. Vincent, we understand the unique emotional and physical needs of young patients. Because people of any age with chronic medical conditions are at a higher risk for flu and pneumonia related complications, it is important they get the proper vaccinations at the right time. Medication Management Services at St. Vincent Carmel provides patients on blood-thinning medication with flu and pneumonia vaccinations, as well as pharmaceutical counseling. By providing vaccinations during patients' anticoagulation follow-up appointments, we keep them healthy while saving them both time and travel. Smoking and tobacco use is a major health risk. It's also one of the toughest habits to break. Our Tobacco Management Services will give you the support you need to finally quit for good. Our team understands the science and psychology behind using tobacco. Through a combination of counseling and medication, we'll provide a pathway toward quitting that's right for you. It all starts with enrollment in our free, 8-week tobacco cessation program led by certified counselors trained at the Mayo Clinic. This clinically proven two-month course is designed to help patients quit smoking safely-and permanently. We also provide a free test to determine your risk for Chronic Obstructive Pulmonary Disease (COPD) - a disease that makes it hard for you to exhale air from your lungs, and is the fourth most common cause of death in the United States. One of our clinicians will provide you the results to share with your primary care physician for any necessary follow-up. To schedule an appointment or for more information about Medication Management Services, please call 317-338-8700. 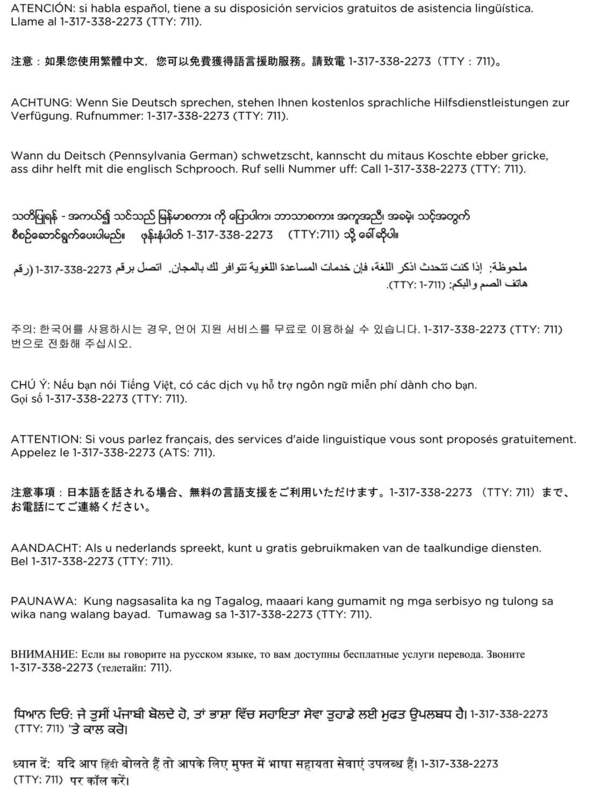 St. Vincent Carmel is committed to providing culturally and linguistically appropriate care to all our patients and their families, especially those with limited English proficiency, deaf and hearing-impaired patients, as well as those with unique physical needs. To access any of our specialized services in these areas, please notify our Pre-registration or Registration Staff before or upon your arrival. If you are an inpatient, please let your nurse know and these services will be readily accessible to you. The following sections will help you prepare for your hospital visit. You may be coming in for a procedure that will have you spending one or more nights, or you may be coming in for an outpatient (same-day) test or procedure. Either way, these helpful tips will help make your visit more comfortable. You may bring your favorite toiletries, but these items can also be provided for you. We want you to feel comfortable while you are staying with us. Learn more about those who are available to help you during your stay. Numerous associates who are vital to the operation of St. Vincent Carmel provide support to the doctors and nurses. These include administrators, unit managers, clerical workers, food and nutrition services personnel, housekeepers, maintenance workers, security officers, and others. Together, they support your caregivers and help make your stay at St. Vincent as pleasant as possible. Whether you are currently healthy or facing a health challenge, it is important to consider what your wishes would be if you were unable to give direction to your medical caregivers because of unforeseen circumstances. Regardless of the reason for your upcoming hospital stay, now is a good time to consider documenting your wishes so that family members will be confident making decisions on your behalf should it ever become necessary. Thinking about your preferences and discussing them with family and friends is important. Documents called advance directives will make your wishes known to your physician. These documents state your choices for health care or appoint someone to make those choices for you if you are unable to do so. If you already have advance directives, please bring a copy with you to the hospital at the time of your admission. The Patient Self-Determination Act went into effect on Dec. 1, 1991. This act requires hospitals, nursing facilities and other health care organizations to inform patients about advance directives by giving them written information at the time they are admitted. If the patient has executed such a document, the signed document will then become a part of the patient's medical file for that admission only. For years, fewer than 10 percent of all Americans had executed an advance directive. However, with the new law, both the young and old are encouraged to put their health care wishes in writing while they are still healthy and able to make these decisions. Three types of advance directives can be prepared at St. Vincent Carmel. Call Pastoral Care at 317-582-7137 for assistance. Appointment of a health care representative, who makes medical treatment decisions for you when you are no longer able. This representative acts under the conditions spelled out in writing by you, and the document must be witnessed by another adult. A living will declaration tells physicians how much treatment you want to have should your condition be terminal and you are unable to communicate your wishes. With an emphasis on limiting treatment, the living will must be in writing, and there must be two adult witnesses. A life-prolonging procedures declaration tells health care providers that you want everything possible to be done to prolong your life, regardless of your terminal condition. It also must be in writing, and there must be two adult witnesses. A durable power of attorney is another option allowed under Indiana law. This document identifies the person you wish to make health care decisions for you. Unlike the health care representative, who may only make health care decisions, the person to whom you have given power of attorney may also make personal and financial decisions for you. The decision-making power of this individual must be in writing and witnessed by a notary public. If you have questions or concerns regarding advance directives, we encourage you to talk with your physician and loved ones. Even if you have been admitted to St. Vincent previously, we will need a current copy of your advance directive. Situations and wishes change so the hospital cannot assume that advance directives are valid from one admission to another. If you need additional information about how to execute an advance directive, please call 317-582-7137. After business hours, please ask your nurse to page the hospital chaplain. Visiting hours vary. We understand the importance of visitors to the healing process of our patients. If visiting hours are limited in certain units they will be posted. To reduce the risk of latex allergies, visitors are asked not to bring latex balloons as gifts. Latex balloons can be exchanged free of charge for Mylar balloons in the hospital gift shop. One is on the lower level of the hospital. A second daytime café is available off the lobby of the Women’s Health Center. The Gift Shop is located in the main hospital lobby by Entrance #1. One in the hospital and one in the Women’s Center. A chaplain is available to patients and loved ones around the clock. Ask your nurse or the front desk to contact the Chaplain on call. Directions: From US HYW 31 take exit 131st St. to 13500 N. Meridian St. Parking: Ample free parking is available in the main parking lot with designated handicap and mothers with children parking spots. St.Vincent Carmel offers free valet parking at entrances #3 and #5. Wheelchairs are available at entrance #2, main entrance, inquire at the front desk. Tuesday– Friday, 9:00 a.m. – 7:00 p.m.
Saturday and Sunday, 11:30 a.m. to 5:30 p.m.
For more information, please call 317-582-7233. St. Vincent Carmel Security is available 24/7 by calling 317-582-7272. Useful local information can be found at these local media outlets. Free Wi-Fi is available by connecting to STV-GUEST. Read the terms and click ACCEPT. Use the Internet as you normally would.